At 0442 hrs. 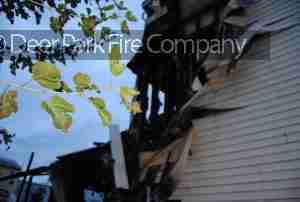 last Friday morning the Task Force box was transmitted by Camden County radio for the dwelling fire located in the unit block of Middlesex Street, Gloucester City. There were numerous calls for this dwelling fire that involved a 3 story wood frame structure. Arriving fire units had heavy fire to the rear of the duplex. Companies were placed in service and the incident required a third alarm transmission for resources to control and extinguish the fire. Command requested a Rehab unit to the scene and Rehab 1 and 2 were dispatched. 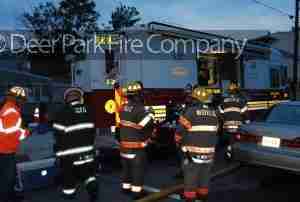 These units did not get staffing to respond and Rehab 13 was toned out at 0558 hrs. to respond to the scene for personnel support. Rehab 13 and U1386 with (7) personnel and provided the following to the members on the fire-ground: (24) bottles of MVP, (8) bottles of water, (5) pots of regular and decaf hot coffee, (3) cups of hot tea, (24) breakfast sandwiches, several dozen snack foods, a rest room, and set up (1) 4′ table. 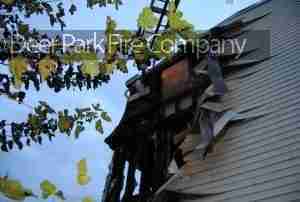 rehab 13 was on scene from 0644 hrs. until being released by command at 0810 hrs. Members released after 0920 hrs. and several members were involved with the Child Safety Seat Program held at our quarters every 2nd Friday of the month. The unit on fire was reported to be vacant and the origin and cause are under investigation at this time. Scene photos by J. Bird of Rehab 13. Side A view of the thee story duplex. The left side was involved in fire. 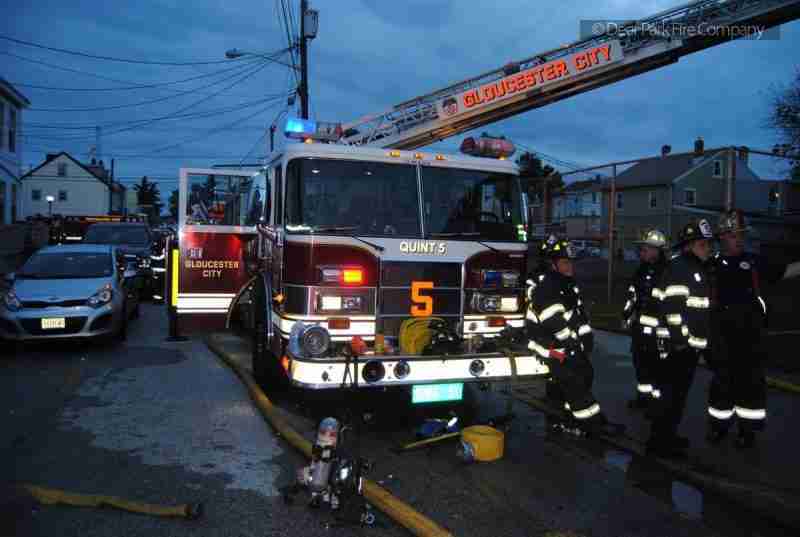 Street side view of Quint 5 the 1st in fire unit out of Gloucester City Fire Department. Lt. Walsh mans the rehab rest and recovery area which was able to get close to the scene. Multiple fire departments were on scene and went to the rehab for food and liquids. 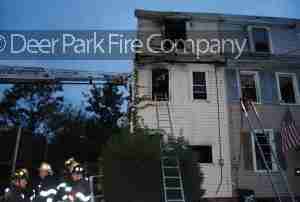 Cascade 11 from Pennsauken Fire was on the incident. 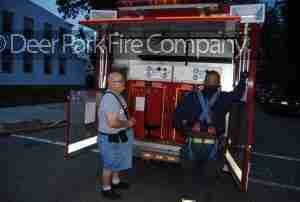 G. Burgin and another unknown fire fighter fill SCBA bottles. B/C corner view up closer view of the fire damage to that rear area. Another view of the damaged area from the B side, access could not be made by our photographer to the C side.